The 2018 Marvin Architects Challenge Best Transitional Award was announced and Acre’s Rosecoast Residence was chosen by the jury! The best Transitional Style Award recognizes work that mixes contemporary and traditional into one vision to create something that can feel both new and old at the same time. The Rosecoast Residence displays a combination of contemporary architecture with cultural elements while blending in with the surrounding environment. 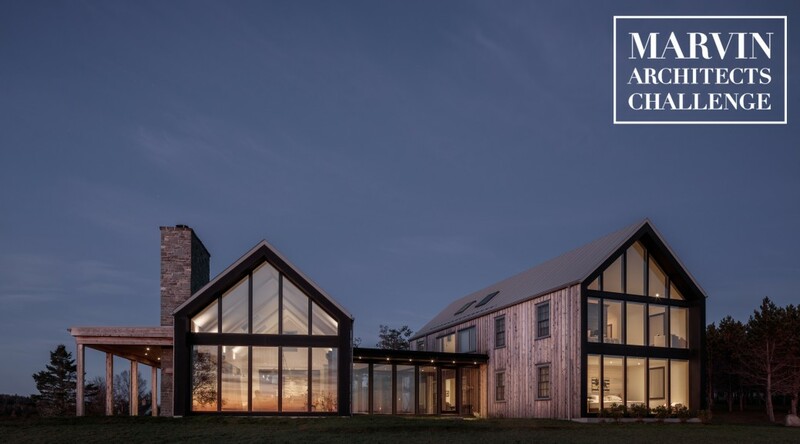 From the judges: “Simplicity complemented the power of the architecture, relying on openings to create purposeful connections throughout the home.” We are proud to show this coastal New Brunswick structure at the upcoming AIA Conference on Architecture 2018 in New York next week.